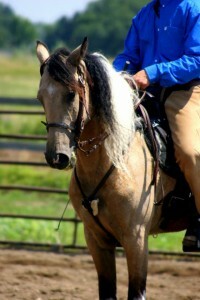 “Marley” is a 2011 15 HH buckskin pinto registered Missouri Fox Trotter gelding. 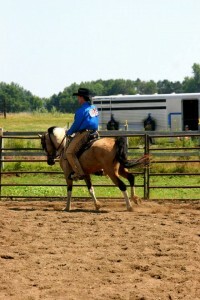 He is also eligible to be registered Curly, Pinto, and Buckskin. He does not lack for hair! This gelding has quite successfully competed with NATRC and AERC in 2015, amassing over 200 competition miles between the two organizations. He is tough and personable and loves a job. Marley takes his job of taking care for his rider very seriously. 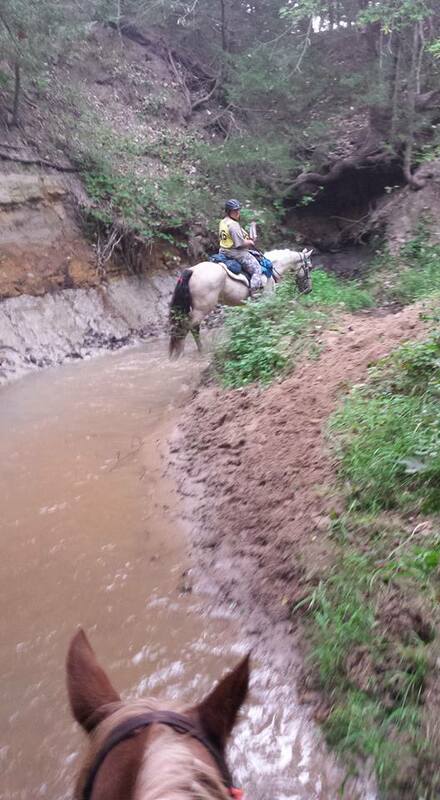 He is not the fastest horse in the bunch but has proven he can maintain 7 mph over a 30 mile LD. He will get you there in style and comfort with his smooth consistent gaits and floating canter. This boy is broke for riders of all levels and is quiet. With no spook and no silly young horse antics, this boy is ready to leave the Jakopak farm and take his new owner down the trail. 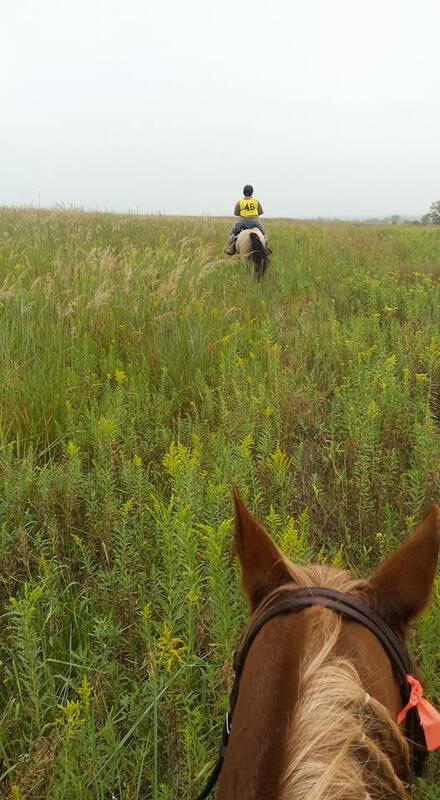 This boy doesn’t need consistent riding to be happy cantering down the trail alone or in a group, or plugging along behind non-gaited pleasure trail horses. He has never taken an unsound step. He has heart and cares for himself very well on trail, never passing up a drink or the opportunity to graze for a few minutes. He also knows the show ring and has done well at the open shows. 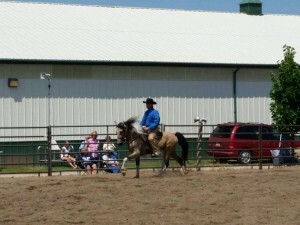 As a 3 year old he was the top gaited horse for the SESDHSA in 2014. 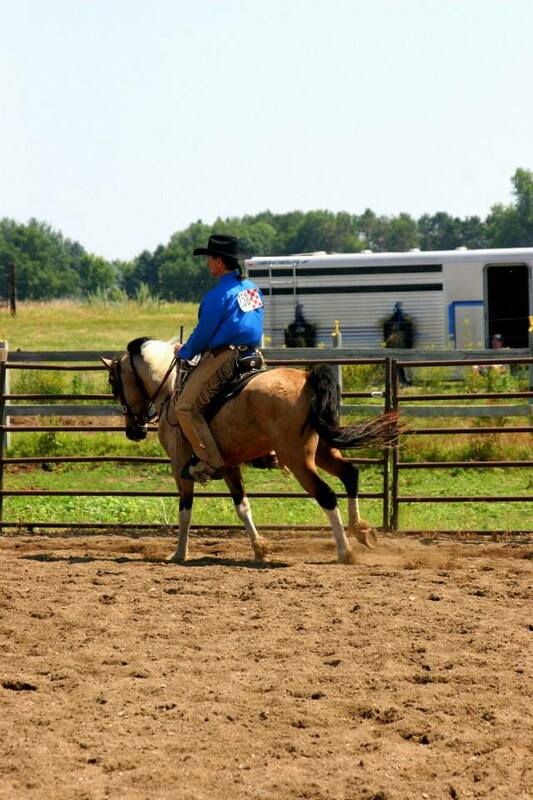 He has just started his career and is happy to do anything you ask of him – run endurance, putz on the farm, in the arena, down the trail, or compete in a CTR! Brains, brawn, endurance, and bling in the same package! Marley has his own local fan club and turns heads everywhere he goes. For your consideration at $9900.00. SOLD to Dawn in Montana! We wish you many years of safe and beautiful mountain trail riding! My email is lisasylvia3@gmail.com. can you send me videos of this horse? How are his ground manners? I am looking for a horse I can ride as my number 1 horse that can go out with anyone as slow or as fast as I want. 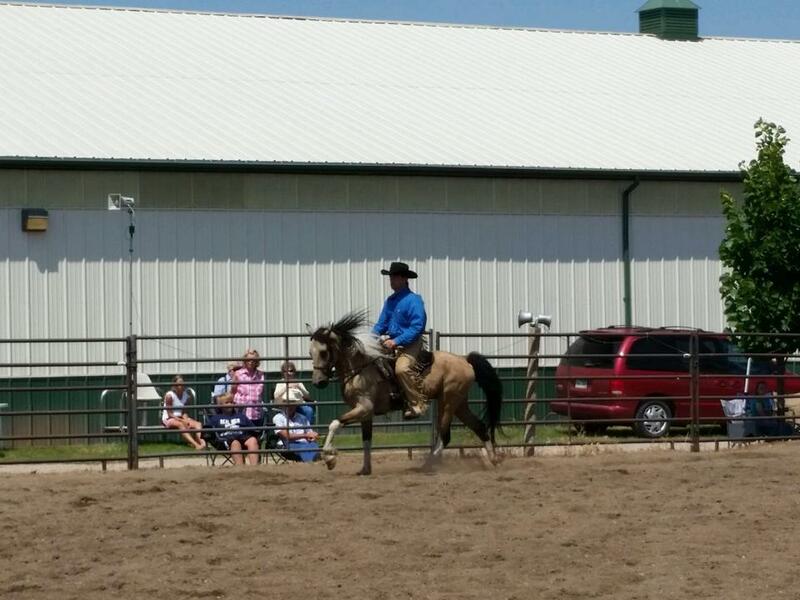 Plus do the NATRC and fun rides on endurance, as well as ACTHA trail classes. But, at the same time, that I can put my 10 year on granddaughter on and know she’s safe brushing, leading, washing and learning to ride on him. PS – does hi also work off of leg que’s. is he neck reined? Tell me as much as you can about him please? Can he lead, follow or ride in a group at any pace without getting “jacked” up? (I know that’s a loaded question and that a rider can create issues), but I don’t think I’m that kind of rider. As long as he’s not a horse that constantly tries you and tests you. I need a true honest horse that trusts his rider. Hello, is your horse “Marley” still available? If so, could you send me some video of him? He sound like the horse I am looking for. Could you also send me any more information you have about his training and his gait. Does he break into his gait readily or does he need more training to pick up his gait? Thank you for your time. My email is frostbitfarm@yahoo.com.